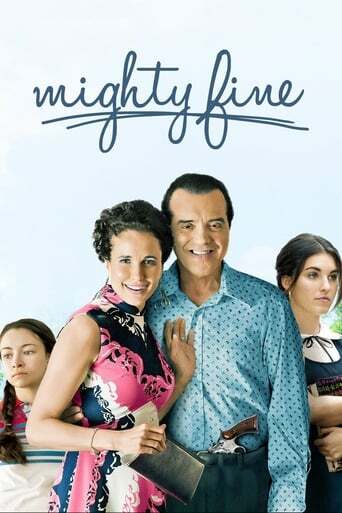 Set in the 1970's, MIGHTY FINE is the story of Joe Fine (Chazz Palminteri) a charismatic, high-spirited man, who relocates his family--wife Stella (Andie MacDowell), a Holocaust survivor, daughters Nathalie (Jodelle Ferland) and Maddie (Rainey Qualley)--from Brooklyn to New Orleans, in search of a better life. Unfortunately, Joe's spending spree is wildly out of touch with reality, as his apparel business is teetering on the brink of collapse, a fact he refuses to accept. Written and directed by Debbie Goodstein, MIGHTY FINE is told from the perspective of an adult Nathalie remembering the events of her youth, and is inspired by Goodstein's memories of her own father. MIGHTY FINE ultimately shows how coming to terms with the past without judgment is the most fruitful way to move toward the future.